Cathy was one of a group of four artists who spent the whole of the spring and summer drawing and painting the Walled Garden at Shepherds Dene Retreat House near Riding Mill. She was inspired by the Apple trees in the garden and made linocuts of these and exhibited them at Shepherds Dene from November 2015 and February 2016. Kim Lewis and Cathy Duncan together with George Coupe were invited to be Artists in Residence, by demi-paradise productions at Lancaster Castle, as they rehearsed and performed Shakespeare's Much Ado about Nothing . 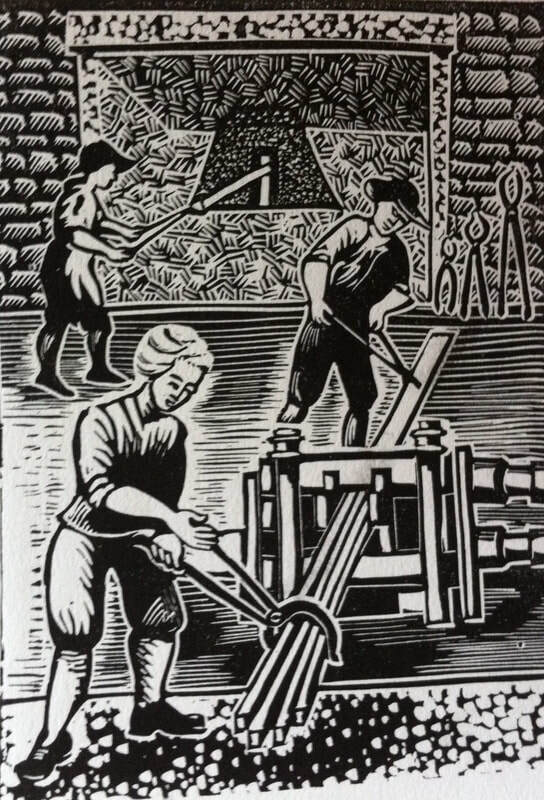 Exhibitions of the subsequent works, sketches and the linocuts based on them by Cathy , photographs of the production by George Coupe and photographs and drawings by Kim Lewis have been held at The Dukes Theatre , Lancaster and Theatre by the Lake, Keswick. The next display will be at The Queen's Hall, Hexham in May 2014. Hexham Abbey Festival 2002 and 2003. This Festival takes place for one week every autumn. In 2002 Cathy drew each performance and immediately framed the drawings in order to put them up in Hexham Abbey the next day. So as each performance took place the exhibition changed and grew throughout the week. 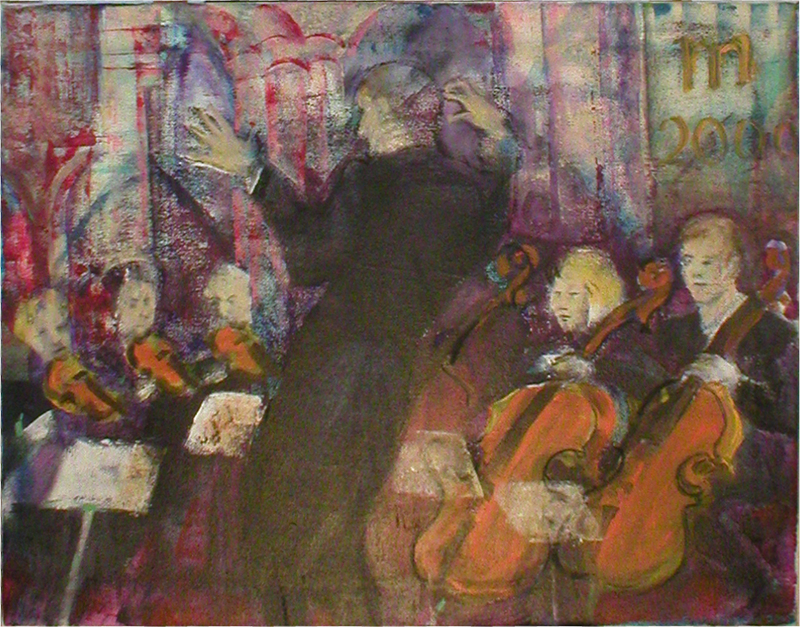 During the following year Cathy painted canvases, using her sketches as reference, and this work was exhibited during the next Festival in the Abbey and The Queen's Hall, Hexham. Core Music, Hexham. During the spring and summer of 2009 Cathy drew all the musical activities that took place in this community-based organisation's premises. 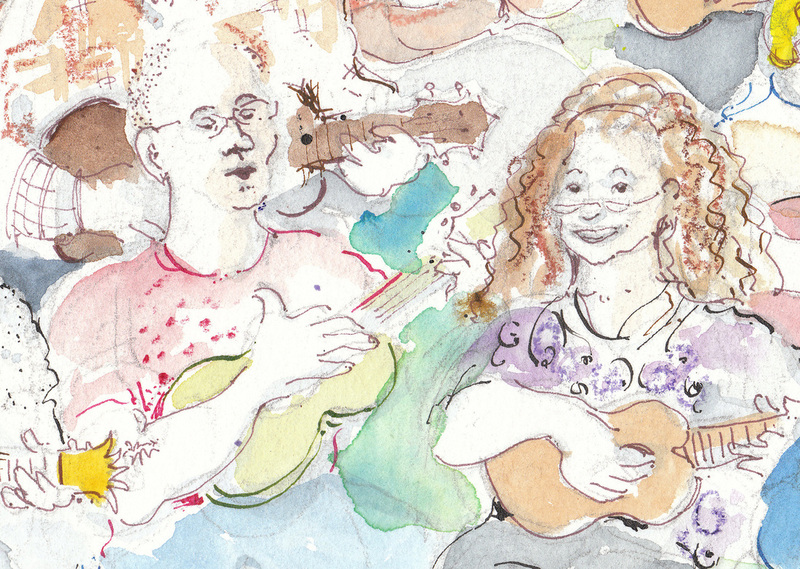 Folk and rock workshops, group sessions and teaching were all sketched and exhibited in The Art Tour (Network Artists' Open Studios in the North East). Core Music sells music and musical instruments as well as encouraging music making in Northumberland. Northern Chords. 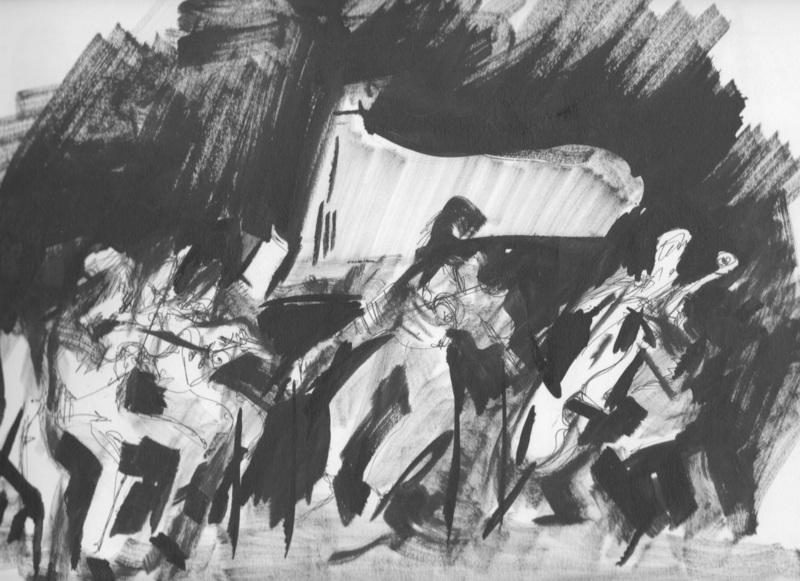 In March 2008 and 2009, Cathy was invited to draw a talented group of musicians as they rehearsed for a series of concerts over a weekend in various venues, including The Sage, Gateshead. Her work was used to illustrate the programme.